30 kilometres from Rome lies Parco Archeologico di Ostia Antica. This is where the old Roman harbour city has been uncovered and where you can walk through 100 hectares of Roman excavations. Metro From the center of Rome, take the metro to the Piramide stop (line B). 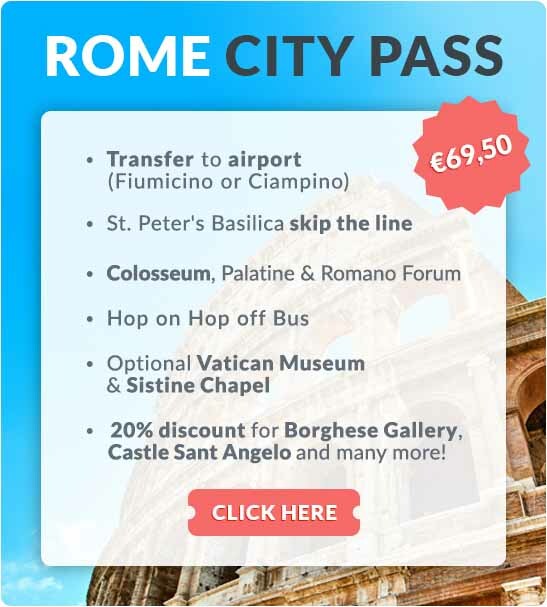 At Piramide you can transfer to the train station on the Roma-Ostia train (Line RL Cristoforo Colombo). 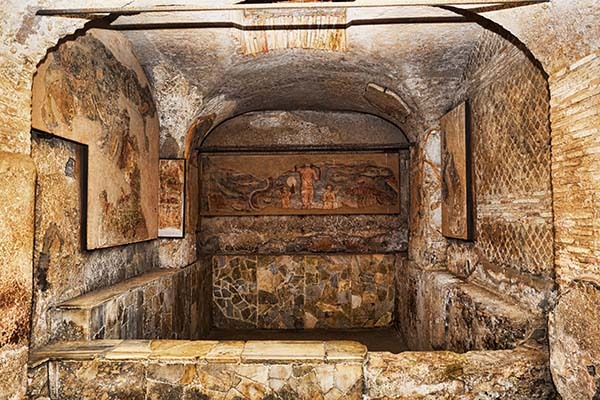 You get off at the seventh stop 'Ostia Antica' after 27 minutes. After a walk of 5 minutes you are at the entrance of the park. You can buy a normal metro ticket for the entire journey. Closed on Mondays and on January 1st, May 1st and December 25th. If you want extensive background information about the excavations. Print this tourist guide. At the entrance of the park and museum is a restaurant, but as the archaeological park is quite large, it is advisable to bring plenty of drinking water. 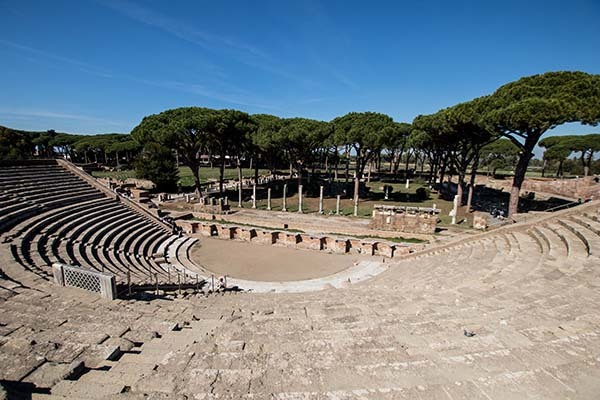 About 30 kilometres west of Rome lies Ostia Antica. This is the former harbour city of Rome and now a giant, 100-hectare archaeological park with many excavations. It is a fun day trip to take from Rome. You can spend hours exploring the countless ruins. During the 7th century BCE, the harbour city was founded for trade and to serve as a military base. It was not until the 2nd century CE that the harbour city grew significantly. The city was located on the banks of the river Tiber and the name ‘Ostia’ was derived from the Latin ostium, meaning mouth. Because the harbour started silting up during the 2nd century CE, the over 100,000 people who had called this city home in its heyday started to slowly abandon the city. Ostia Antica is one of the best-preserved Roman cities in Italy, despite the fact that the city was often used as a source for marble, columns and other building materials. If you wonder where the sea is during your visit, please be aware that because of the changing coast lines, it is now a few kilometres away. The course of the main river of the Tiber has also changed. The archaeological park holds many excavations, such as that of a theatre of Marcus Agripa for 3,000 man, many houses, baths and temples, as well as countless mosaics. It is believed that about two thirds of the old city have been uncovered by the digs. 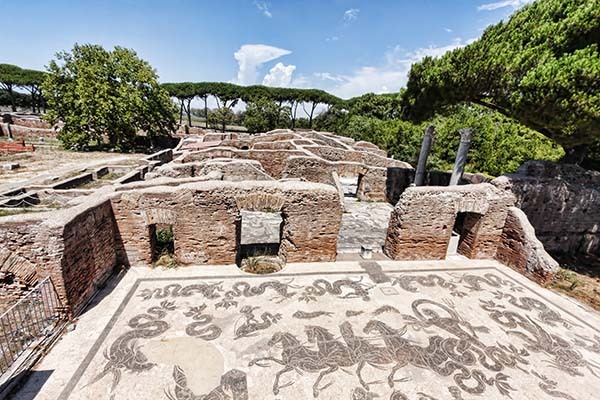 The archaeological park of Ostia Antica is highly recommended if you wish to get away from the bustle of Rome and explore the many Roman ruins for a few hours. 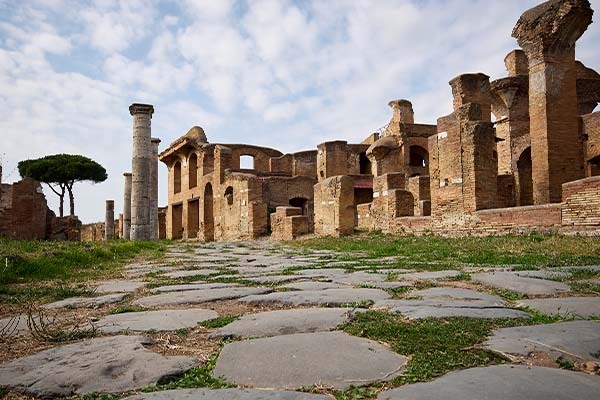 Where is Ostia Antica located?